This is CME on ReachMD. 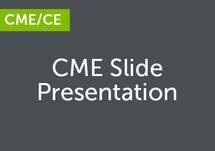 This CME activity titled: Primary Care Update, Autoantibody Testing for Connective Tissue Diseases, is brought to you by Medtelligence and The Postgraduate Institute for Medicine, and supported by an educational grant from Quest Diagnostics. Prior to beginning this activity, please be sure to review the faculty and commercial support disclosure statement, as well as the learning objectives. Here’s your faculty, Dr. Robert Baldor and Dr. Chadwick Johr. Hi. I’m Bob Baldor. I’m Senior Vice-Chair and Professor at Family Medicine and Community Health at the University of Massachusetts Medical School in Worcester, Massachusetts. And I’m Chad Johr, Assistant Professor of Clinical Medicine in the Division of Rheumatology at the University of Pennsylvania in Philadelphia. We’ll be discussing autoantibody testing for autoimmune diseases, or more precisely, connective tissue diseases. Our purpose here is to discuss how autoantibody testing, such as the ANA, may be used in the primary care setting to diagnose these disorders. Using the ANA test combined with a good medical exam and a good history, along with signs and symptoms of connective tissue diseases, will help to achieve greater benefits in diagnosing and treating patients. So, we talk about connective tissues diseases, and I’m a little confused with that term somewhat. What exactly are we talking about within the world of connective tissue diseases? Well, Bob, that’s a very good question. It’s a little bit confusing. I think the term itself is somewhat antiquated, but we will use it, as many terms in medicine. We know that not only connective tissues are involved, but what we’re really getting at is autoimmune diseases that often affect multiple organ systems—often, and chiefly in many cases, the joints. Autoimmune disorders, like systemic rheumatic diseases, affect up to 50 million people in the United States. There are many different types out there, and it’s overall the #2 cause of chronic illness in the United States. Women are more likely to be affected than men, and symptoms can overlap and are really nonspecific, and so a patient with 1 autoimmune disease is more likely to have another one, and so it’s something to keep an eye out for. Okay. So, they tend to be rheumatologic in nature, but there’s a lot of overlap as part of that, correct? Absolutely. Many of our patients have more than one. So, another thing I would like to point out with autoimmune diseases is the diagnosis is often delayed. In many cases it’s delayed for several years, even 5 years in many cases, and it can be due to a delay in presentation to the primary care practitioner. A lot of the patients present in nonspecific manners, which makes it very confusing and difficult sometimes to recognize, and also there’s no one test that will diagnose all of these things, so it can be very difficult in that way to kind of figure out what’s going on. Sometimes multiple tests combined with good clinical acumen and clinical findings can really help you zero in on what’s going on. Well, you notice a delay in diagnosis, and I think that when we see that, somewhat of it is these often present in a very nonspecific fashion, and that can be difficult to tease out as patients come in. So what’s the best way for us to make a timely diagnosis in primary care when we are seeing these patients? Well, I think the best way to make a diagnosis, Bob, is really to do an important and a very careful history and physical exam. Like all of medicine, I think a lot of people think of rheumatology and they think of all the fancy testing that we do, and really the basis of all of this is doing a careful history and physical examination. When after doing that you feel like, okay, based on the clinical features, the history and the exam, you think that there’s a significant chance that this patient may have an autoimmune disease, then it’s time to go on to do some testing. What we usually recommend is to do some baseline basic testing, such as a complete blood count, or CBC, maybe a creatinine, a urinalysis, sometimes a sed rate or ESR, and then beyond that you can think of doing further, kind of more specific testing, looking at autoantibodies, such as the antinuclear antibody, or ANA, etc., etc. Okay. So, as you look at this then, that certainly makes sense to me. I think that’s really what we do in most conditions, right, a history and physical, trying to sort out what’s going on, and then that idea of some screening tests is really what you’re talking about as we look at that. And so you mentioned the ANA, and I think there’s confusion around the ANA, the antinuclear antibody testing that’s done, and so if I do have somebody who I’m concerned about with some sort of a connective tissue disease and I get a positive ANA, what conditions are really associated with that? What are we really thinking about here? What should I be thinking about? Well, I would say that when you’re ordering an ANA, usually, for the most part, the thing that should first come to mind is lupus, lupus being fairly common, and it’s important to note that lupus has a positive ANA in the vast majority of cases. So, when you have a negative ANA, you really ought to think, “Well, lupus is unlikely in this case.” ANAs are also positive in other connective tissue or systemic rheumatic diseases such as Sjögren’s syndrome, systemic sclerosis, polymyositis, dermatomyositis, and also in drug-included lupus, mixed connective tissue disease, and several others. Okay. And the ANA test itself, so my understanding is that there’s different methodologies to actually test the ANA, and that’s you can use the immunofluorescent antibody or the ELISA testing as part of that, and each of these tests has its own strengths and weaknesses. So, it’s interesting that the American College of Rheumatology actually has come out and said that the gold standard test to actually be used is the immunofluorescent antibody testing. And so we’re trying to understand a little bit… I think whenever we’re doing any testing, it’s important to realize what is your lab using at the hospital, and is it the ELISA testing or is it the immunofluorescent antibody, and how is the reporting being done within it. So part of this, when you get an ANA, you get a titer with these tests, and so there’s some, I think, confusion around how to interpret that titer, how high it is or low it is. So some of the differences in these tests, that the immunofluorescent antibody is a little bit more, I think, a little bit more defined as part of it. When you get a positive result, you actually have a titer, and then you get a pattern, an immunofluorescent pattern that goes along with it that helps you tease out what the sub-antibodies that are there. You do the ELISA, too. The ELISA testing is more—it’s apparently not quite as reliable, although a lot of labs use it; it’s, perhaps, a little less expensive in testing; but there’s some question around the reports of the reliability, and a lot of it depends quite a bit on the accuracy of the person who was doing those testings. So I think that’s why the American College of Rheumatology came around and said, “This is the methodology of choice.” You really should be relying on the IFA, the immunofluorescent antibody. And they actually go on. They say you need to know what’s being reported out there, that your lab should say what the methodology is that you’re using or not and if you’re using something different that has actually been shown to be comparable to the immunofluorescent antibody. And it’s really interesting that there’s a lot of… So, CLIAC, which is the CDC testing to certify these things, a lot of them have standardizations to this, and there’s the in-house assays, so I think it’s like… These tests, in my mind, for primary care are confusing enough, and I want to know that the test is accurate and has been tested and is accepted to be out there, and so the idea of having the fact that the laboratory is telling you that, it is really, really useful, and so I like the idea that the American College of Rheumatology comes out and says, “The gold standard should be the IFA.” And I don’t know, from your perspective, is that something we should be really looking at and thinking about, how these things are done? Just rely more on what you’re seeing under the microscope. Exactly. Decades ago, you had the ANA, the pattern. The ANA titer and the pattern, that’s what you had, and we know that some of these patterns kind of correlate clinically with certain conditions. I have to say that many of the patterns I personally am not getting too excited about. When I see centromere, when I see nucleolar, these really kind of make me think, “Okay, maybe systemic sclerosis is going on as opposed to some others,” so that can be pretty useful. So the patterns themselves are a little less specific as opposed to the sub-serologies. Exactly. The sub-serologies are overall going to be more specific. When I see centromere or nucleolar, I tend to think of scleroderma. Sometimes with centromere I also think of Sjögren’s. Yeah. You know, like I was saying, the higher the titer, the more likely it is to be a true positive test for a connective tissue or systemic rheumatic disease. …so, you know, my fellows will get confused. They’ll say, “1:80, how’s that positive? That’s negative.” I say, “Well, here it’s negative, but in another lab that might be positive.” And the higher the titer, the more likely it is to be a true positive. So, when you’re seeing it in 1:1,000-something or 1:2,000 or higher, you really have to pay attention. That’s hard to ignore and chalk it up to, “Oh well, that’s maybe because their cousin has lupus,” or something like that. I got that. So, we were talking about sub-serologies. And so when you say ANA, these are antinuclear antibodies. These are abnormal antibodies that are targeting the antigens within the cell’s nucleus. And oftentimes we make antibodies, bacteria and viruses, and sometimes there’s cross-reactivity, and that’s why you have these abnormal ones. So, within the nucleus there’s lots of different substances, and that’s what you were just talking about. So, there’s this concept of tiered testing that’s come in. And so for a lot of folks, if you get a positive ANA, the lab, if you order it with tiered testing, will do tiering along with that, and tiering means the first tier is to start with some of those sub-serologies that are more likely to lead to a more common diagnosis. So when those are positive—because you are talking about lupus as being much more common than some of the other conditions—and so if you get the tiering, tiering 1 that is targeted at that, you have a positive double-stranded, a positive Smith, a positive chromatin, which are often included in these tiers, then you’ve got your diagnosis as lupus. You don’t have to necessarily go any further is the concept. If those are negative but the RNP is positive, then it’s more of a mixed connective tissue disease that you are seeing. So, if those are negative, you go on then to a second level of tiering that would be done, and the second level of tiering then are the SS-As that are part of it. The Jo1 is part of… Interestingly enough, that’s actually not an ANA, I understand, right? It’s not an antinuclear antibody. It’s within this realm of that, but it’s a cytoplasmic antibody, but it’s considered within this. And you do the SS-B antibodies as well, and so some of those then tease out. Depending on what those patterns are, it helps you determine whether or not you have got other syndromes, whether it’s Sjögren’s or polymyositis and so on. And then if those antibodies are negative, the tier would continue to do further testing. And so I will have you talk a little bit more about how we actually use this in practice, but my understanding is that then you go on to looking at the sub-serologies, which are less common, the disease is less common, and so I like this because it’s saying, okay, you’ve got a positive ANA. That’s not that helpful because it’s relatively nonspecific. The immunofluorescent patterns aren’t that specific. What’s really helpful is a sub-serology. So, with a sub-serology we want to think about tier 1 are going to get at a more common; if those are negative, tier 2 and tier 3. So, if we look at this and we go along with it as thinking about these are different sub-serologies, how do you actually use these in practice? How are they helping you to be able to do this?—because this flows into this whole concept, the Choosing Wisely campaign that’s out there. And so the American College of Rheumatology says Choosing Wisely is do the ANA and then don’t just random shotgun everything; do it tiered. Look at tiered 1, and if those are negative, then go on to tier 2, then go on to tier 3, and so your testing is very helpful to have that sort of built-in as part of it, with it. Yeah. And I’d like to comment if I may, Bob, just for a second. You know, the Choosing Wisely campaign is just trying to be cost-effective in our diagnosis, in our ordering of tests. And the thing is, what some people don’t understand sometimes is the concept of ANA is an antinuclear antibody. And like you said, the nucleus is not just 1 substance. You don’t actually have antibodies to nucleus. You have antibodies to different things in the nucleus. And so anti-double stranded DNA is an ANA. Anti-Smith antibody is an ANA. Many of these things are ANAs. If your ANA is negative, it doesn’t make sense to test for these things. When I teach residents, I explain to them, “That’s like me telling you, ‘I have an apple in my hand, but I don’t have a fruit.’” Okay? The ANA is like fruit, and then all the different sub-fruits are the double stranded, etc., etc. So, if you want to be efficient with your testing, you can order an ANA, say an ANA immunofluorescence. If that’s negative, then you won’t do any further testing. And that’s kind of what the tiered testing is getting at. If it’s negative, it stops. If it’s positive, then they’re going to go through different tiers to try to figure out what’s going on. I got it, okay, as part of that makes sense. So, one of the things I want to just talk a little bit about would be rheumatoid arthritis for just a minute, because rheumatoid arthritis is a relatively common—I think of it as a connective tissue disease as well, but that is associated with a negative ANA, right? You don’t have anti-nuclear antibodies with rheumatoid. How are we testing rheumatoid? Right. Well, rheumatoid arthritis, I would like to say, the most important thing in terms of diagnosing rheumatoid arthritis, like many of these diseases, is doing a careful history and physical exam. If you’re finding patients who have swollen joints—especially involving the PIP joints, the MCP joints, the wrists—it’s symmetric, it’s many joints, that’s when you should be thinking about rheumatoid arthritis. And so, when you think about rheumatoid arthritis, you might consider getting laboratory testing, x-rays, to kind of look into that further. And the ANA is not going to help you because that’s really not helpful in terms of making a diagnosis. Okay. So, I’ve gotten the rheumatoid factor for years, and sometimes that’s negative though. Other testing we should be thinking about that goes along with that? Well, from my standpoint, if you think about rheumatoid arthritis, the 2 main tests I’m thinking about are checking a rheumatoid factor and an anti-CCP antibody level. So, we’ve been talking about ANA testing in mixed connective tissue diseases, and one of the things that we see a lot of or think a lot about is rheumatoid arthritis. Suspicion with a right history and clinical findings, for years I’ve gotten rheumatoid factor to tease that out. And then now we have evolved. There’s more testing that’s out there. The CCP testing is done, and I understand that if you combine the 2 tests, the likelihood it helps you with that diagnosis. And there’s new testing that’s out there. This is the 14.3.3 ETA. It has been FDA approved probably about 3 years ago for testing of rheumatic arthritis. And what’s interesting about this particular test is that it’s actually been shown as a potential marker for disease severity, something you can track over time. And so I’m not sure it’s being used a lot from the rheumatologists in my area, but it’s fascinating to me that more and more testing are out there and more and more useful testing that’s coming thorough. It will be interesting to see how this begins to play out in our armamentarium as we are diagnosing and treating rheumatoid arthritis as part of that. It’s remarkable to me to see how our testing continues to evolve and these new things are on the horizon. So, we talked a little bit about the basics for the testing and so on. So, how does this all work? So if we’re looking at trying to get… Or how do we diagnose an autoimmune connective tissue disorder, and what should we be thinking about? Talking about pulling this together, you get your history, you get your suspicion from your history and physical, and then where should we be going with the testing? So, for like Sjögren’s, that’s an interesting syndrome. It’s relatively more common than some of the others. How should we approach her if we’re thinking that’s what a patient has? So, lots of, again, nonspecific syndromes—symptoms there, you know? …that really kind of in many cases jump out at you and the patient can’t even close his or her fists, whereas Sjögren’s syndrome, a lot of these things are very nonspecific. The patients tend to be older. Many older patients have fatigue, aches and pains and dryness, so it’s tricky. But in the right clinical context when things are quite severe, like the dryness, etc., then you would think of doing diagnostic testing. The main autoantibody diagnostic test in Sjögren’s syndrome is going to be the SS-A test, or the anti-SS-A antibody, and also SS-B. SS-B is not as common, and when SS-B is positive, the vast majority of the times the SS-A is also positive, and so really the main lab test I’m thinking about is going to be an SS-A. So this was a little bit—just going back to that tiering—it was a little bit… this would be like a tier 2 testing that usually comes through as part of that. If you’re just doing the ANA, you would pick this up. If you’re unclear, it would show up as a tier 2 positive testing that would be done. Again, so it’s lab specific, right? You need to know what your lab is testing for, but you would want to know that in their tiering that they have those type of tests that are being done. Sure, absolutely. And if you didn’t have such tiering… If you were thinking about Sjögren’s syndrome, tests that you would want to order would be an SS-A and SS-B, also an ANA test, and a rheumatoid factor. Roughly half of patients with Sjögren’s will have a positive ANA. Roughly half will have a positive rheumatoid factor. Those in themselves are not diagnostic, but it’s certainly helpful in coming up with a diagnosis. If you do have a higher titer of ANA, like 1:320 or higher, and a positive rheumatoid factor in the right clinical context, then you might consider that as something in terms of moving you towards a diagnosis of Sjögren’s. And then, of course, there’s lots of other testing to look for objective measures of dryness like ocular staining, a Schirmer test where they stick the little piece of pH paper in the eye, and then sometimes we have to do minor salivary gland biopsy or a lip biopsy through our sometimes ENT colleagues to try to shore up a diagnosis. So actually seeing that in the biopsy of the salivary glands, seeing that coming through. Yeah. And It’s important also to note that about one-third of patients may have a negative SS-A and SS-B. So when you have a negative ANA, negative SS-A, SS-B, and you’re still thinking of Sjögren’s, sometimes it’s worth pursuing further to go for the lip biopsy if you really think that some of that’s going on. To this degree, alright. Now, I actually think of lupus much more commonly than I do Sjögren’s. Obviously, you’re right; you’ve got a little bit more, perhaps, physical findings that you’re seeing that are pointing you in that direction. What’s your diagnostic approach if I’m thinking that this is lupus that somebody has? You know, it’s funny that you mention that, because Sjögren’s is now thought to be several times more common than lupus. It’s just not as well-understood or well-known. And, also, it tends to not cause us much—I don’t want to say interesting but impressive organ damage. We use the term impressive as doctors, as practitioners, and Sjögren’s causes lots of aches, pains, fatigue, dryness, but is not as common to cause severe, like glomerulonephritis or brain involvement, so it just doesn’t have quite the pizzazz. Again, those nonspecific signs and symptoms is probably why it’s missed more often than something like lupus where you’ve got the kidney involvement and you’ve got the rash. Absolutely, absolutely. When you’re trying to diagnose lupus, Bob, again, aside from taking a good history and physical exam, then the next tier for me is going to be basic lab testing. You’re going to look for evidence of glomerulonephritis with the creatinine. Is there proteinuria? Is there hematuria? Is there low blood counts? And then aside from that—because many times people can have slightly abnormal UAs, etc., etc.—then you’re going to be reaching for the ANA at that point. And so, if you have ANA, especially at a higher titer, in the right clinical context, that’s when we’re really thinking about lupus. And when you have some of these other tiered testing, like double stranded DNA, anti-Smith, etc., that’s when I’m really thinking that that’s what’s going on. Sure. Perhaps that will change over time, absolutely. When you see a patient who is having arthralgias, fatigue, maybe some rashes, and you’re thinking lupus, you’ve got to also consider drug-included lupus. Isoniazid, a couple of others, minocycline, we can see drug-induced lupus in many patients, and we often see this, often as inpatients, when patients are sick, admitted with rashes, fevers, and they’re like, “Oh, this patient has lupus.” It turns out it’s a drug. Does it go away when you stop the drug? On occasion patients will actually require treatment with steroids or something, but a lot of times just stopping the drug is the way to go. How about these systemic scleroses? Those are a little—certainly in the primary care world—a little less usual to see. Can we talk a little bit about that? Yeah. I mean, systemic sclerosis is really a less common animal as compared to, like, rheumatoid arthritis and lupus. This is something that we see less commonly, but it’s tricky. You should really think of systemic sclerosis, Bob, when you have patients with the things that make me think about systemic sclerosis—Raynaud’s phenomenon where the patient’s fingers are going to turn white or blue, which is not that uncommon, especially in younger women, but when you see it in someone who is in their late 30s or beyond or in a man, you have to think, “What’s going on here?” We see this in a patient who’s also having lots of acid reflux, maybe some skin changes, some rashes, some other problems. That’s when you start to think about systemic sclerosis, especially tightness. So, when you are considering that, you want to really look at the patient’s hands. And what I’ll do is I’ll just take the finger and kind of pull on the skin between the DIP joint and PIP joint and see if that skin moves. In some cases you’ll find that the fingers are puffy and it’s not moving, and when you find puffiness, that’s an early indicator of maybe early systemic sclerosis, which a lot of people don’t know, but I think it’s really important for a primary care practitioner to know that puffy fingers is early scleroderma. So, when you see puffy fingers in someone with Raynaud’s... And I just had this the other day with my nurse practitioner, and she’s like, “Yeah, the joints are fine, but the fingers are puffy.” I said, “Uh huh;” that’s when we have to reach for an ANA and really look for other evidence of systemic sclerosis. So, the ANA is positive in over 90% of patients with systemic sclerosis. So, if you have the Raynaud’s, you have some puffiness or some skin thickening, you have the positive ANA, that’s something you really have to think about. Yeah, you find that maybe there’s no shin edema and lower extremity edema, but the fingers look puffy, right? They’re not anasarcic. And then, again, talking about the different tiers of antibody testing, a lot of these patients I’ll say anecdotally the ANA is going to be very positive. That’s a positive ANA, yeah. —much higher than a lot of others, and then we’re going to look for the patterns, like the centromere, nucleolar, and then some of the other tiered testing, like Scl-70 antibody, and some others. Is there any relationship to the disease severity and the titer level? No, there’s not. So, it’s misunderstood. A lot of patients get nervous. They say, “My ANA is so high. Is that something I should worry about?” And I say, well, the positivity of the ANA doesn’t really correlate with the patient’s prognosis or how they’re doing, which also leads to confusion, because often I’ll find in primary care, folks will be repeating this positive ANA over and over again to think, “Well, maybe it’s going down,” or “maybe it’s going up,” and often our answer is it doesn’t really matter. Once we know it’s significantly positive, it’s significantly positive. So, if you have a positive ANA, say a titer greater than 1:320, it’s positive. Yeah, it’s a positive test, because it’s not going to really give you more information in terms of how sick the patient is. It is usually not important. So, let me go the other way a little bit. What happens if you’re suspicious? Are there rheumatologic diseases that you can see with a negative ANA?—those sort of things to be thinking about. Now that you mention it, Bob, one thing I’m thinking about is a lot of our diseases are connective tissue diseases or systemic rheumatic diseases. These things unfold over time. And when you see the patient in the office, it’s just a snapshot. And so it’s quite possible a patient with lupus who has had kidney disease and maybe involving the brain, and rash, and joints, this all didn’t just happen yesterday. Sometimes this unfolds over time. And the lab testing can be part of that. So, if you have a negative ANA but your suspicion for, say, lupus is quite high, and maybe it’s been a year or 2 since you’ve tested it, it’s not unreasonable in the right clinical context when your suspicion is high to repeat it. It could turn up positive. But what you’re talking about is: What happens when testing is just negative and you have a negative ANA? Could the patient still have connective tissue disease or autoimmune systemic disease? Exactly. The clinical scenario usually doesn’t lend itself to kind of some confusion. Sjögren’s syndrome, other autoimmune diseases affecting the joints can be like ankylosing spondylitis and diseases in that kind of category, psoriatic arthritis, IBD, or associated arthritis, enteropathic arthritis, also vasculitis, certainly can have a negative ANA. Of course, that clinical presentation a little bit different, but if you’re seeing some with fever or some kind of more impressive findings, you might consider that. Polymyositis, dermatomyositis, a lot of folks will be confused thinking, “Well, the ANA’s negative, they couldn’t have one of those diseases,” and the truth is maybe half of patients will have a positive ANA, the other half may not, so you really have to think about that on clinical grounds. And there’s actually antibody testing looking like a myositis profile looking at Jo1It’s a little bit confusing to say—and then some nonrheumatic diseases, autoimmune thyroid disease, myasthenia gravis, multiple sclerosis. There are certainly other autoimmune diseases that are not necessarily in the purview of the rheumatologist, maybe neurology and some others, that can have a negative ANA for sure. Well, certainly I think that it’s useful to have a claritive approach in taking care of patients. I think for so many of us, if it’s a positive ANA, it’s a rheumatologic disease, but really teasing out what’s going on as part of that is really, really important and helpful to help work through that. The tiered testing is certainly helpful because that leads us a little further down the line. Sometimes I’ll make a diagnosis of rheumatoid arthritis, and I’m referring to the rheumatologist anyways just to help confirm that. And patients, at least where I’m at, want to see a specialist, and so let’s have you see the specialist to confirm my diagnosis. So, there’s 2 aspects. Sometimes I’m just confused, and it’s like “Help me figure this thing out.” What are you seeing more in your practice? It is more of the confusion, or is it more help with the diagnosis? Well, it’s been a great discussion. Hopefully, you found this useful and helpful for you. I’m Dr. Bob Baldor, a family physician from Massachusetts. And I’m Dr. Chad Johr, a rheumatologist at University of Pennsylvania. The preceding activity was sponsored by Medtelligence, and the Postgraduate Institute for Medicine. 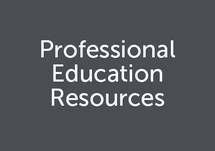 To receive your free CME credit, or to download this activity, go to ReachMD.com/CME. This is CME on ReachMD, Be Part of the Knowledge. Autoimmune experts discuss autoantibody testing for connective tissue diseases and how tests like ANA can be used in the primary care setting. We’ll be discussing autoantibody testing for autoimmune diseases, or more precisely, connective tissue diseases. 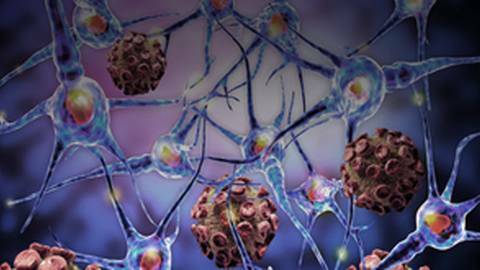 Our purpose here is to discuss how autoantibody testing, such as the ANA, may be used in the primary care setting to diagnose these disorders. Using the ANA test combined with a good medical exam and a good history, along with signs and symptoms of connective tissue diseases, will help to achieve greater benefits in diagnosing and treating patients. Jointly provided by Postgraduate Institute for Medicine and Medtelligence. This activity is supported by an independent educational grant by Quest Diagnostics. 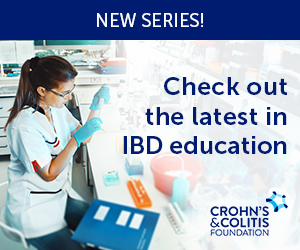 This activity has been designed to meet the educational needs of primary care and internal medicine physicians, rheumatologists, and other healthcare professionals involved in the care of patients with autoimmune diseases. In support of improving patient care, this activity has been planned and implemented by the Postgraduate Institute for Medicine and Medtelligence. Postgraduate Institute for Medicine is jointly accredited by the Accreditation Council for Continuing Medical Education (ACCME), the Accreditation Council for Pharmacy Education (ACPE), and the American Nurses Credentialing Center (ANCC), to provide continuing education for the healthcare team. The Postgraduate Institute for Medicine designates this enduring activity for a maximum of .75 AMA PRA Category 1 Credit(s)™. Physicians should claim only the credit commensurate with the extent of their participation in the activity. The following PIM planners and managers, Trace Hutchison, PharmD, Samantha Mattiucci, PharmD, CHCP, Judi Smelker-Mitchek, RN, BSN, and Jan Schultz, MSN, RN, CHCP, hereby state that they or their spouse/life partner do not have any financial relationships or relationships to products or devices with any commercial interest related to the content of this activity of any amount during the past 12 months. Medtelligence: Ben Caref, PhD; Pamela Clark – No financial relationships or relationships to products or devices with any commercial interest related to the content of this activity of any amount during the past 12 months. There are no fees for participating and receiving CME credit for this activity. During the period March 26, 2018 through March 26, 2019, participants must read the learning objectives and faculty disclosures and study the educational activity. If you wish to receive acknowledgment for completing this activity, complete the activity, post test and evaluation. Participants who successfully complete the activity, post test, and evaluation will have a statement of credit made available immediately. If you have any questions regarding the CME certification of this activity, please contact Postgraduate Institute for Medicine at: information@pimed.com or (303) 799-1930.